After a delay of almost seven days, Southwest Monsoon finally hit Kerala today. India Meteorological Department (IMD) has projected an "above normal" rainfall this year. "The monsoon is arriving at almost the same time as IMD predicted. We are hopeful and optimistic that there will be higher sowings and a very good production this year. 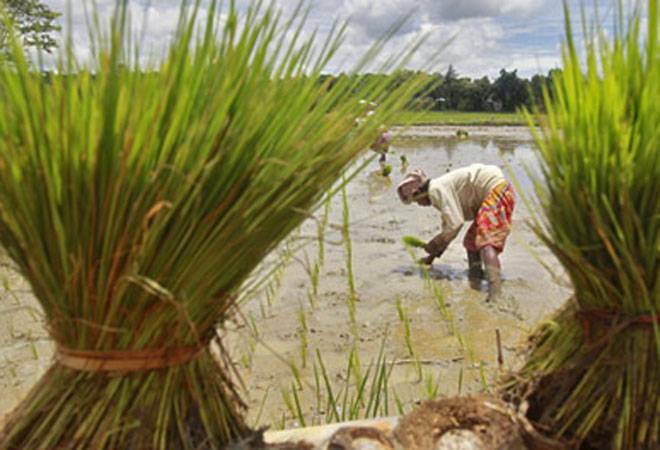 Overall, this will be good year for agriculture," Agriculture Secretary Shobhana K Patnaik told PTI. India's foodgrains production stood at around 252 million tonnes (MT) during the 2015-16 and 2014-15 crop years (July- June). Stating that the government has constructed large number of water harvesting structures for storage of water, the Secretary said the above normal monsoon would fill these reservoirs that will be helpful for the farmers. "...the government had already announced the higher MSP and and now higher output is expected ...the arrival of monsoon will further add to farmers' income," Patnaik added. Edible oil Industry body Solvent Extractors Association (SEA) said as the monsoon progresses through the country there will be upswing in the economic activities. "With expectation of higher produce, the agri-commodity prices will ease down. The expected rise in production of oilseeds will also reduce our dependency on imports of edible oil," SEA Executive Director B V Mehta said. Echoing similar sentiments, India Pulses and Grains Association (IPGA) Chairman Pravin Dongre said the arrival of monsoon is very positive development and this will bring cheers across the board. "Going forward specially in case of pulses. We are expecting higher crop which will ease the supplies and there will be some correction in prices also," Dongre said.